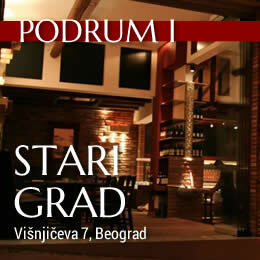 In Podrum Wineart restaurant in Novi Beograd, our wine loving guests have the opportunity to taste wines from Enomatic by using a wine card. Enomatic machines are specialized wine dispensers used to serve wine by glass. Enomatic preserves the freshness of wine for a longer period and so offers the possibility to use personalized wine cards with credit for use in wine bar. You will receive your wine card after putting as much credit as you prefer. How to use Enomatic ? It is very simple to use the wine card. There is a card reader in every machine which displays your name, available amount and price of the dose that you wanted to taste (tasting dose, half glass and full glass). By touching the display you pour the desired dose in your glass and then you take back your card. You repeat these steps every time you want to pour new glass of wine. 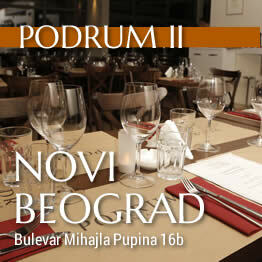 Every month we present 16 different wines and vineries from Serbia and from the best wine regions of the world. Leave us your e-mail address to receive information about our promotions and events.